Pack in powerfully pure protein, without the unnecessary carbs. Isopure®'s Zero Sugar is 100% whey protein isolate powder, so you can amplify your progress, whilst avoiding unwanted weight gain. Whey protein isolate is ultra-filtered to ensure maximum quality, providing a whopping 50g of protein per serving, and fortified with vitamins and minerals. It's 100% whey protein isolate loaded with vitamins and minerals to sustain you. Pack in powerfully pure protein, without the unnecessary carbs. Isopure®'s Zero Sugar is 100% whey protein isolate powder, so you can amplify your progress, whilst avoiding unwanted weight gain. Whey protein isolate is ultra-filtered to ensure maximum quality, providing a whopping 50g of protein per serving, and fortified with vitamins and minerals. It's 100% whey protein isolate loaded with vitamins and minerals to sustain you. What's more, it's void of gluten, lactose, or any impurities. 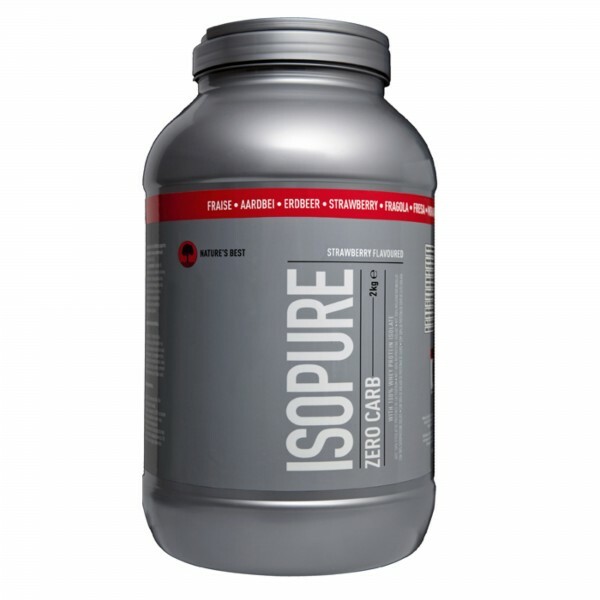 Made with Isopure's microfiltration process to be the only completely clear milk protein when dissolved in water. Available in a range of delicious flavors to mix up some seriously delicious and dynamic recipes.